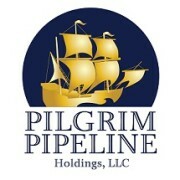 Pilgrim Pipeline’s application and information can be found on the Pilgrim website at www.pilgrimpipeline.com. We look forward to working with both the NYSTA and the DEC as the environmental review process of the pipeline begins under SEQRA. We are confident that this review will demonstrate that the Pilgrim Pipeline will transport essential energy products in a manner that is not only safer, but also more environmentally friendly and economically efficient, than current modes of transportation utilized in the State. We also look forward to continuing to foster an open dialogue with municipal officials and citizens along the proposed route to provide information and answer questions. The proposed 178-mile pipeline project consists of two separate, parallel underground lines running between supply and distribution terminals in Albany and Linden, New Jersey. The pipeline would carry refined products like home heating oil, gasoline, diesel and kerosene to the north and crude oil southbound. The pipeline would handle an estimated 200,000 barrels in each direction each day (a total of 73 million barrels annually), roughly the amount of fuels currently transported along the Hudson by other modes of transportation. All the New York permit documents are posted on the Pilgrim website (www.pilgrimpipeline.com). Canton, CT – An independent study released by Pilgrim Pipeline shows that greenhouse gas (GHG) air emissions generated by the proposed pipeline would be 20% lower than the GHGs currently produced by barges transporting fuels along the Hudson River. The proposed 178-mile pipeline project, consisting of two separate, parallel underground lines running between supply and distribution terminals in Albany and Linden, New Jersey, could displace up to 2,000 barge trips on the Hudson each year. Pilgrim submitted the GHG study, conducted by independent consulting firm Environmental Resources Management (ERM), as part of its New York State application. The study compares all emissions that would result from Pilgrim Pipeline operations, including electricity taken off the grid to power the pipeline, with the emissions generated by the diesel engines of tugboats that push fuel barges up and down the Hudson River. One fleet of barges delivers crude oil south along the river, and a different fleet of barges delivers refined products back up north, each returning empty to its point of origin. The proposed pipeline would carry refined products like home heating oil, gasoline, diesel, and kerosene to the north and crude oil southbound. The pipeline would handle an estimated 200,000 barrels in each direction each day (a total of 73 million barrels annually), roughly the amount of fuels currently transported along the Hudson by other modes of transportation. Both the New York State application and the ERM study can be found on the Pilgrim Pipeline website at www.pilgrimpipeline.com. 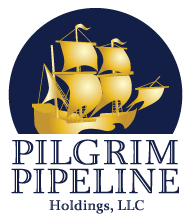 Canton, CT – Pilgrim Pipeline Holdings, LLC announced today that it has filed a use and occupancy permit application in New York to construct the Pilgrim Pipeline. The proposed 178-mile pipeline project consists of two separate, parallel underground lines running between supply and distribution terminals in Albany and Linden, New Jersey. The pipeline would carry refined products like gasoline, diesel, kerosene and home heating oil to the north and crude oil southbound. The pipeline would handle an estimated 200,000 barrels in each direction each day (a total of 73 million barrels annually), roughly the amount of fuels currently transported along the Hudson by other modes of transportation. “We are excited to begin the formal process of obtaining permits in New York for construction of the Pilgrim Pipeline,” said George Bochis, Pilgrim’s Vice President for Development. “This step begins a comprehensive process of review and public comment in New York. Applications for permits will be filed in New Jersey later this year. “In an effort to be as transparent as possible with Hudson Valley residents, we have posted all the New York permit documents on the Pilgrim website, and we invite questions and dialogue with government officials and the public,” said Bochis. The application was filed with the New York State Thruway. It includes a three-volume Draft Environmental Impact Statement (“DEIS”) submitted in compliance with both the New York State Environmental Quality Review Act (“SEQRA”) and the National Environmental Protection Act (“NEPA”).